Be the envy of the office when you're carrying the Salvatore Ferragamo® Revival 3.0 Single Gusset Briefcase. Briefcase made of genuine grained leather. Top fold-over flap with push button release. Wrapped leather top carrying handle. Back-wall exterior slide storage compartment. Interior features dual zip compartments and two slip storage pockets. 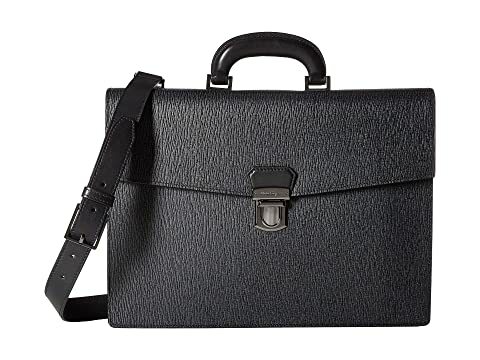 We can't currently find any similar items for the Revival 3.0 Single Gusset Briefcase - 24A050 by Salvatore Ferragamo. Sorry!